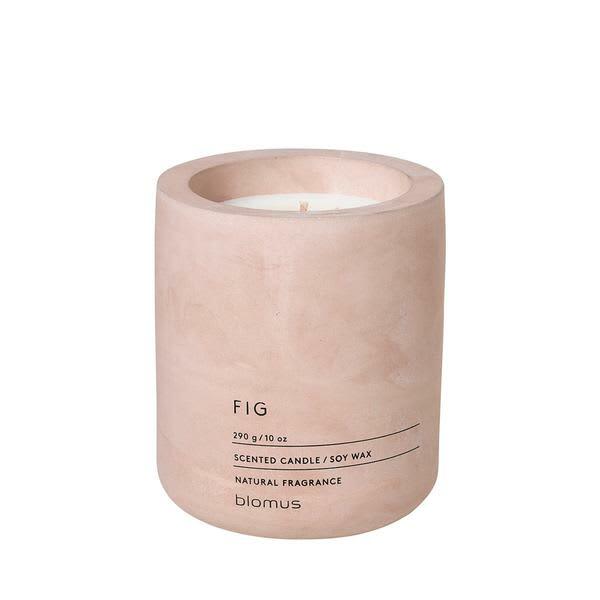 Fig Scented Candle, contained in a contemporary, stylish, blush pink, concrete pot. Made from soy wax, these scented candles have discreet and long lasting scents. Soy wax ensures the candles burn in a clean, non-toxic way with low soot.